For 50 years before the adoption of the 19th Amendment, women in one state had full voting rights, and you might be surprised where. When Secretary of State Bainbridge Colby affixed his signature to the 19th Amendment on August 26, 1920, women across the United States gained full voting rights. The new constitutional amendment, however, brought no change to one region of the country where women had been casting ballots for decades, one often thought of as a bastion of rugged masculinity and “no place for a woman”—the Wild West. 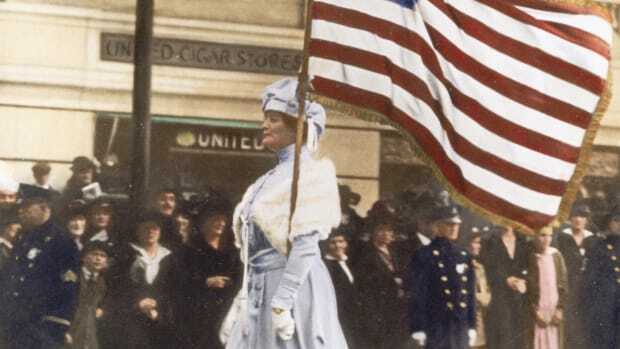 While the right of women to vote had not been specifically enshrined in the U.S. Constitution prior to the 19th Amendment, it hadn’t been prohibited either. For instance, single women owning property “worth fifty pounds” were allowed to vote in New Jersey between 1776 and 1807 before the right was restricted to white males. In 1838 Kentucky allowed widows with school-age children to vote in school elections, and Kansas followed in 1861. Women’s suffrage, however, was still nearly nonexistent when in 1869 William Bright, a saloonkeeper and president of the upper house of the Wyoming Territory, introduced a bill granting all female residents 21 years and older the right to vote. According to the Wyoming State Historical Society, the territorial legislature had already passed progressive measures guaranteeing women teachers the same pay as men and granting married women property rights apart from their husbands. Bright’s measure backing universal women’s suffrage, however, would be groundbreaking in the United States. The bill passed both houses of the all-male legislature and was signed into law on December 10, 1869, by Republican Governor John Campbell. The following September, 69-year-old Louisa Swain, described by a local newspaper as “a gentle white-haired housewife” became the first women to cast a ballot under the law in her town of Laramie, Wyoming. There was no protest. “There was too much good sense in our community for any jeers or sneers to be seen on such an occasion,” reported the Laramie Sentinel. The new law also allowed women to serve on juries and hold public office. Esther Morris became Wyoming’s first female justice of the peace in 1870, and she tried more than 40 cases during her tenure. Why was this sparsely populated territory on the rough edges of the frontier in the vanguard of women’s rights? While Bright and others believed in ideals of gender equality, the Wyoming State Historical Society says there were other factors as well. 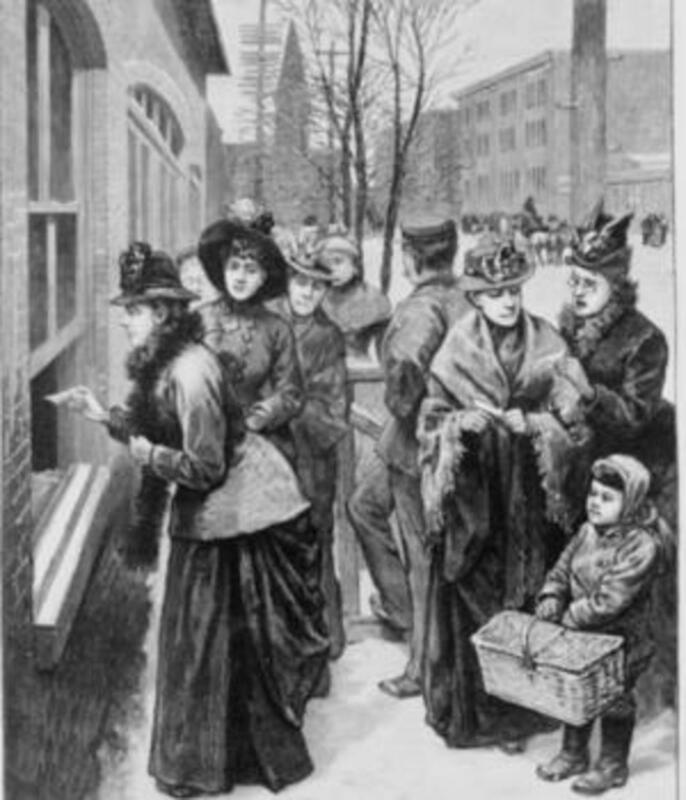 Illustration of women voting in Cheyenne, Wyoming. In a territory where men outnumbered women by a 6-to-1 ratio, some hoped the publicity from the measure might attract single women to Wyoming to rectify the gender imbalance as well as to help it achieve the population threshold required to apply for statehood. Politics also played a role as some Democratic legislators hoped the bill would put the Republican governor in a tough spot. If Campbell, whose party championed African-American voting rights, vetoed the measure, he would look hypocritical. If it passed, Democrats thought women voters would reward them for introducing the measure. Much to the chagrin of those Democrats, however, Republicans gained seats in the territorial legislature and won the vote for the territorial representative to Congress in the two years after Campbell signed the law. Blaming the newly enfranchised voters for their defeats, Democrats passed a bill to outlaw women’s suffrage, but they fell one vote short of overriding Campbell’s veto. “Wyoming is the first place on God’s green earth which could consistently claim to be the land of the free!” declared women’s suffrage leader Susan B. Anthony. The neighboring territory of Utah quickly followed Wyoming’s lead by passing women’s suffrage in February 1870. The Western territories of Washington and Montana passed similar measures in the 1880s. 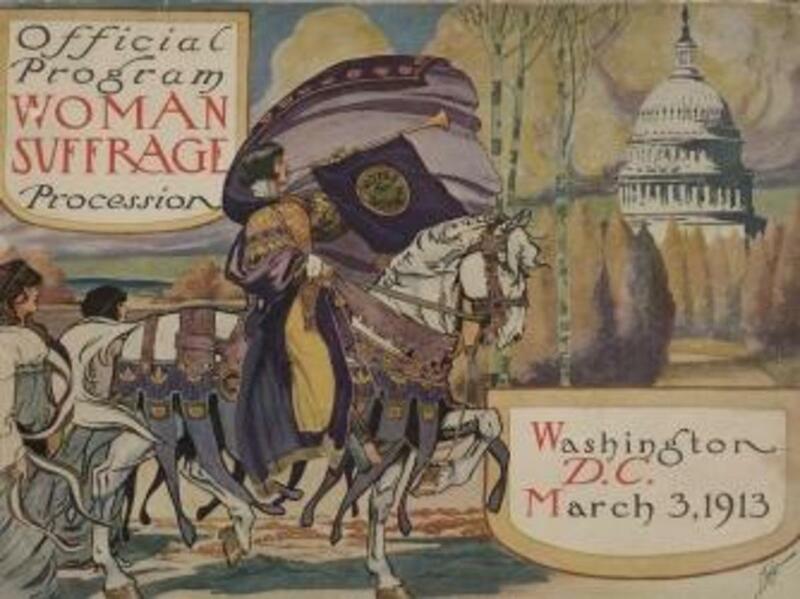 Program for the 1913 suffrage march in Washington, D.C. 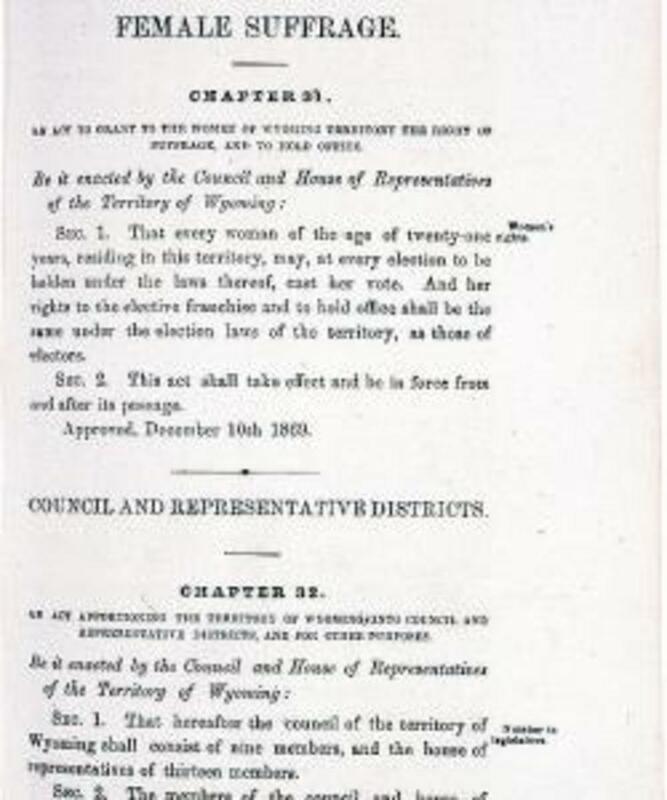 When Wyoming sought statehood two decades after its historic vote, the territory’s citizens approved a constitution that maintained the right of women to vote. When Congress threatened to keep Wyoming out of the Union if it didn’t rescind the provision, the territory refused to budge. “We will remain out of the Union one hundred years rather than come in without the women,” the territorial legislature declared in a telegram to congressional leaders. Congress relented, and Wyoming became the first state to grant women the right to vote when it became the country’s 44th state in 1890. 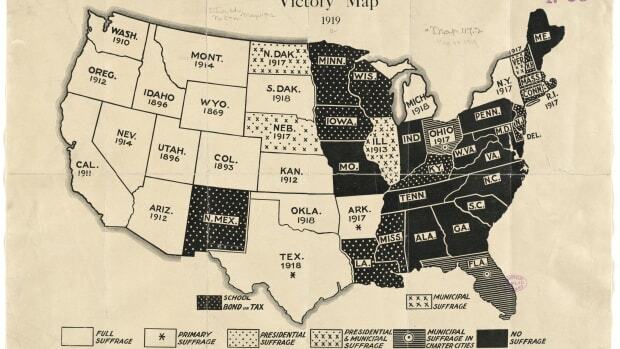 The West continued to be the country’s most progressive region on full women’s suffrage. Colorado approved it in 1893, and Idaho did the same three years later. 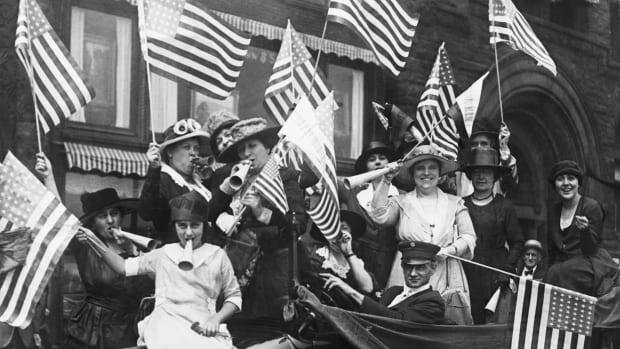 Congress had disenfranchised women along with outlawing polygamy in Utah in 1887, but women regained the right to vote when the territory became a state in 1896. After 1910, they were joined by Washington, California, Arizona, Kansas, Oregon, Montana, Nevada, Oklahoma, South Dakota and the territory of Alaska. (Even before the passage of the 19th Amendment, Montana elected a woman, Jeannette Rankin, to the U.S. House of Representatives in 1916.) 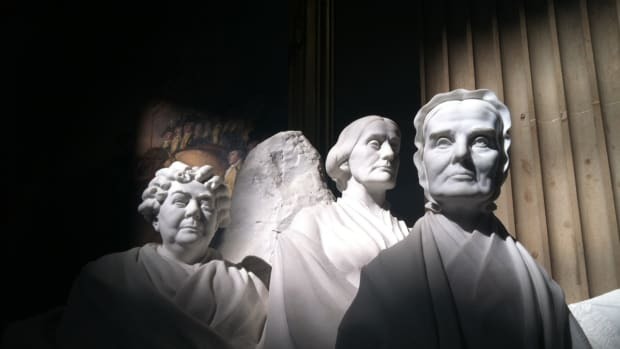 According to the National Constitution Center, by 1919 there were 15 states in which women had full voting rights, and only two of them were east of the Mississippi River. The dozen states that restricted women from casting ballots in any election were primarily in the South and the East.